Who She Is – One Of The Best Filipino Truly Motivational Speakers Who has Motivated Herself And Others To Achieve Great Things. On May 16th 2007, Janet became one of the 3 women (with Noelle Wenceslao and Carina Dayondon) to be the First Women in the world to traverse Mt. Everest- climbing from Chinese ABC camp to the summit of Everest and back down to Nepal- a record still unbroken. 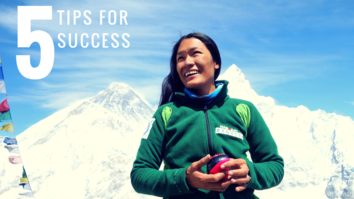 She is the youngest mother to summit Everest, standing on top of the world 5 months after giving birth. 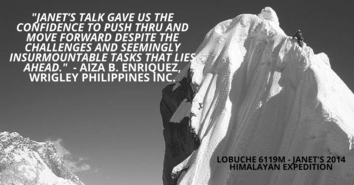 She is also one of the first Filipinas to summit Mt. 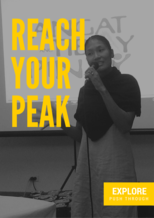 Everest and one of the first 3 Filipinas to become the first Southeast Asian women to summit Mt. Everest. 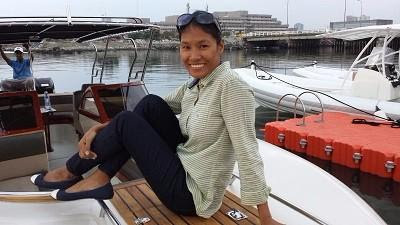 After standing on top of the world, Janet took on the epic and historical sailing Voyage of the Balangay in 2010, where she and her teammates made a replica of the ancient boat Balangay carbon dated 320A.D and sailed it around South East Asia. In 2012, Janet sailed with her husband Todd and son Himalaya on their 32 ft Tahiti Ketch from Langkawi Malaysia, down the Malacca, around Singapore, across the North coast of Borneo and up the West Coast of Palawan. The same year, Janet started, BELARMINO VENTURES providing expeditions in Northern Palawan and high altitude mountaineering expeditions worldwide. March 2014 thru May, Janet successfully led and guided an Everest Base Camp trek and a Three Peaks “Mt Everest Training Climb” to the summits of Lobouche East- 6119m, Pokalde-5806m, and Island Peak-6145m. August 2017. The unexpected tragedy and untimely death of Janet’s daughter recently led her and her family on the hardest expedition they have ever experienced. An expedition she never signed up for. A 30 day trek to the valley of memories where she and her husband built a memorial for their daughter Amihan at 5000mtrs asl – turning tragedy into transformation, loss into legacy. 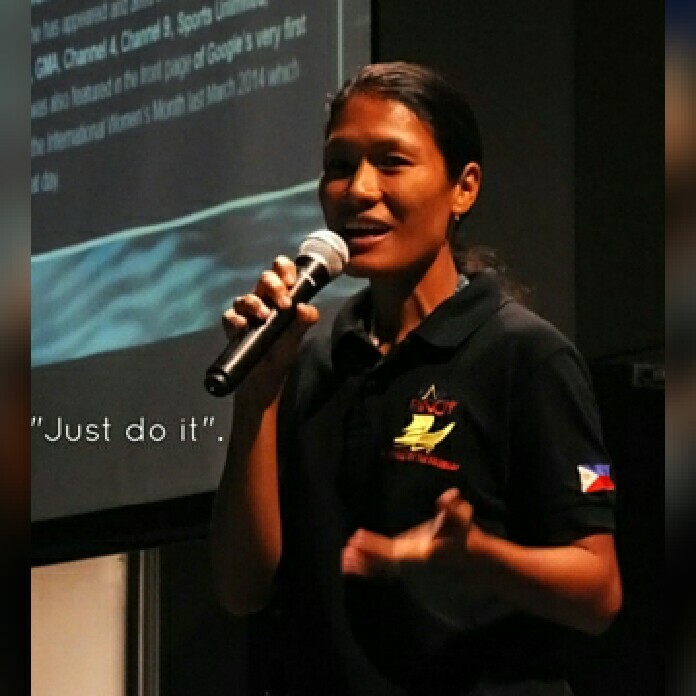 As One Of The Best Filipino motivational speakers from the world of adventure, exploration and endurance, Janet has pushed herself to the edge. She is someone who has taken on some of the hardest and most treacherous journeys on the planet. In short, she is precisely the kind of person to inspire others to achieve great things. Janet Belarmino’s mixture of high-quality climbing photographs and videos along with her casual style creates a comfortable environment for any audience. Her ability to connect to each person with her speaking style and presence helps everyone become part of the event and take away something special for themselves. She is not the standard speaker with a tightly memorized script. She brings to life the experience of “Our everyday Everest” shedding light on the expedition she never signed up for. She engages her audience in a positive yet real life stories that will shed some light for others who find themselves on their darkest paths or amidst the hardest challenges in their struggle of life. She interacts freely with her audience throughout the event welcoming any and all questions and comments. Audiences leave with a new sense of what it is like to be on the summit of Mt. Everest in the harshest of conditions or dealing with obstacles in life that are beyond measure. This turning point in Janet’s life has given her a deeper sense of life, new perspective of what is important; reinforcing her mission: “to educate, motivate and encourage anyone facing a challenge in life to push through and climb on. I believe that in everything we do, the same rules apply. It does not matter what your challenge is… What truly matters is that we find a way to explore and push beyond the challenges before us, so we may discover and achieve more than we ever thought possible..” Janet’s aim is to give fascinating insights into leadership, planning and preparation, motivation, inspiration, team dynamics, risk, improving performance & project management. Each presentation is customized for the event’s goals and audience. Janet has a deep commitment to every engagement and personally works with the team for a successful event. Janet Belarmino is one of the world’s leading inspirational speakers. Since 2007, Janet has been public speaking actively. Asian CEO Forum chose Janet to address their 7 Steps to Leadership on their 2014 engagement. When East West Bank wanted to change their core banking system, they chose Janet to speak to their IT team just 48hrs before their summit of Everest- Their deadline after two years in the making. And when Regatta needed to become more customer-centric, they picked Janet to speak to them about the “Radical Tactical Shift” that enabled her to complete the first traverse of Mt Everest, being a Filipino who had never seen snow. She has addressed and influenced many corporations, organizations and audiences such as Asian CEO Forum, Microsoft Philippines, Jollibee, Abbott, Glaxo Smith Klein, Bayer, San Miguel Corporation, SunLife Insurance, AXA Life Insurance, Asian Institute of Management (AIM), Golden ABC, Regatta, TAO Corporation, Wrigley’s Philippines, Emerson Network Power, East West Bank, WINGS (Women’s International Network Giving Support), BPI/MS and JP Morgan Chase & Co., Globe, Shell, TELUS, Service Source, MedChoice Pharma,, Asurion, Kyani and Cargill among the few. Her audience ranges from the top executives and officers of the corporation to the employees and man power of the company. Educational institutions: International School of Manila, British International School, Galileo Enrichment Learning Inc., Keys School, Ateneo, St. Paul, Girl Scouts of the Philippines. Meralco Foundation Institute, DLSU, UP, San Beda. She gives talks from pre-school all the way to University and student leaders. She has appeared and aired on extensively on TV and Radio talk shows such as ABS-CBN, GMA, Channel 4, Channel 9, Sports Unlimited, Teleradyo, and Veritas. She was also featured in the front page of Google’s very first Google Doodle video during the International Women’s Month last March 2014 which received over 1 billion visits that day. Janet has received a number of honors and awards including: A Congratulatory letter of Her Excellency President. Gloria Macapagal- Arroyo, The Philippine Senate Honor No.120 Commanding the 3 Filipino members of “kaya ng Pinay” Everest Team, The Philippine Senate Honor No. 77 Empowered and Outstanding Women for their Valuable Contributions in the different areas of society in Celebration of Women’s Month March 2015, Republic of Philippines Independence by Mt. Everest by President Fidel V. Ramos, Nueva Vizcaya Sangguniang Panlalawigan Resolution No. 2007-457, Citation from the National Commission on the Role of Filipino Women, Citation from the Girl Scouts of the Philippines, CICM Centennial Award, Citation from the Kagawad ng Pagsasaka, Citation from the Universal Peace Foundation, Certificate of Recognition from the Human Development International, Graduation award given during the Basic Alpine Mountaineering Course in DMAS Manali, India, Certification from the Philippine Coast Guard, Certificate of Participation and Appreciation from Philippine Military Academy. This is a part of my talk during a speaking engagement with Service Source last 2017. Since then I have adjusted my presentation by adding more videos and a radical shift on my closing statements relaying “Our Everyday Everest In life”. My talk is more focused and leaves a more powerful and lasting impact to my audience. We respect your privacy. By providing your email address, we understand you only consent to Janet Belarmino sending you occasional emails about our tours, our speaking Engagments, our partners’ products and related material. We will not share your email address with any third parties. We will keep your email address secure. We do not attempt to identify individuals from email addresses provided. Should you wish to unsubscribe from Janet Belarmino updates, your email address will be deleted from our records and no longer stored by Janet Belamino in any form.